One of the biggest mistakes any size of business organisation can make is to presume that sales is more important than credit control. Sales, of course, is of the utmost importance as, without it, the business cannot generate income and profit. If your business allows a customer some time to pay their bill on credit then there is automatically a gap in cash flow that the business has to fill to continue trading. Your business cannot stop there – sales staff need to continue to sell, the business needs to pay bills, pay wages and also get more product or service back out there and therefore it is important to get your cash in quickly and as near to your credit terms offered as possible. Without sales there can be no credit control. Without credit control, sales and general business trading is strangled if there is no balance of cash flow in the business. 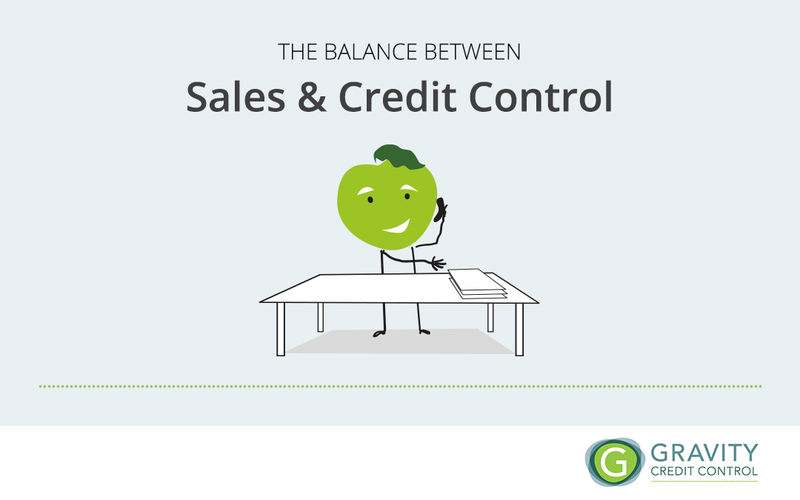 A credit control job should begin before a sale is even made. Your company needs to have effective and up-to-date terms and conditions that can be supplied to a client, as well as a suitable credit limit application form so you can capture all of the important details about any new client right at the start of a business relationship. It maybe that KYC (Know Your Customer) details aren’t too important whilst you are excited about winning the order but, in 30-60 days after the event and there is still no payment you will be retracing your steps and wondering why you never credit checked them before you agreed to supply or do the work. Often there is a major misconception that credit control can create barriers towards the sales effort wherever possible. The Sales versus Credit Control attitude is entirely wrong and can only be removed by strong personal relationships and education of the sales staff that a sale is not a sale unless the company is paid for it. Both departments want to help develop new business, ensure continuity of that business and achieve success whilst ensuring profit. Both teams need to appreciate each other’s role and realise that the sales department and the credit control department would not exist without the other. The business would not survive without them both. An element of teamwork and appreciation of each role is essential for business to thrive. Communication between teams is key. If the sales team is treated professionally Credit Control will gain trust and respect whilst future dealings will become easier because you are working together for the good of the company. Sales people and generally positive, driven people, and credit professionals should be equal to this attitude. Credit Control really do not want to talk about “blacklists” or “stopping supply” even though this maybe their only course of action left at times. Sales want to sell as much as possible but need to realise that the customer cannot have any more service or product until they have paid for overdue payment of previous supply. Often sales team appreciation of the reason for credit limits is key to this understanding and then sales teams can be effective in helping the company get paid so that they can sell to the customer again! Without sales, the company will not survive. Without cash flow, the company will not survive. The Credit Control department is the essential link between sales and finance and makes a real difference to corporate profits and liquidity. This should not be overlooked at any stage and high calibre, skilled credit control staff that appreciate the sales process as well as their own job are essential to safeguard your business.